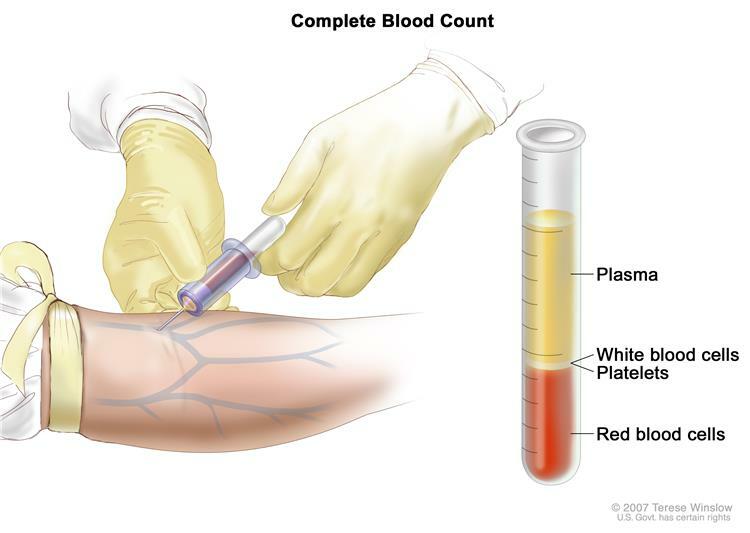 Lymph : Colorless, watery fluid that carries white blood cells called lymphocytes through the lymph system. Lymphocytes protect the body against infections and the growth of tumors. Lymph vessels : A network of thin tubes that collect lymph from different parts of the body and return it to the bloodstream. Lymph nodes : Small, bean-shaped structures that filter lymph and store white blood cells that help fight infection and disease. 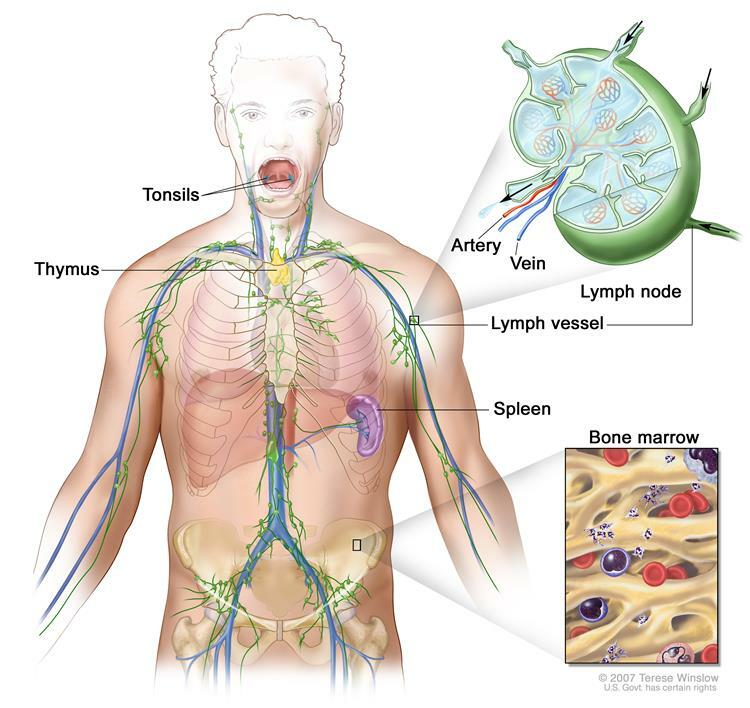 Lymph nodes are located along the network of lymph vessels found throughout the body. Clusters of lymph nodes are found in the neck, underarm, abdomen, pelvis, and groin. Spleen : An organ that makes lymphocytes, filters the blood, stores blood cells, and destroys old blood cells. The spleen is on the left side of the abdomen near the stomach. Thymus : An organ in which lymphocytes grow and multiply. The thymus is in the chest behind the breastbone. Tonsils : Two small masses of lymph tissue at the back of the throat. The tonsils make lymphocytes. Bone marrow : The soft, spongy tissue in the center of large bones. 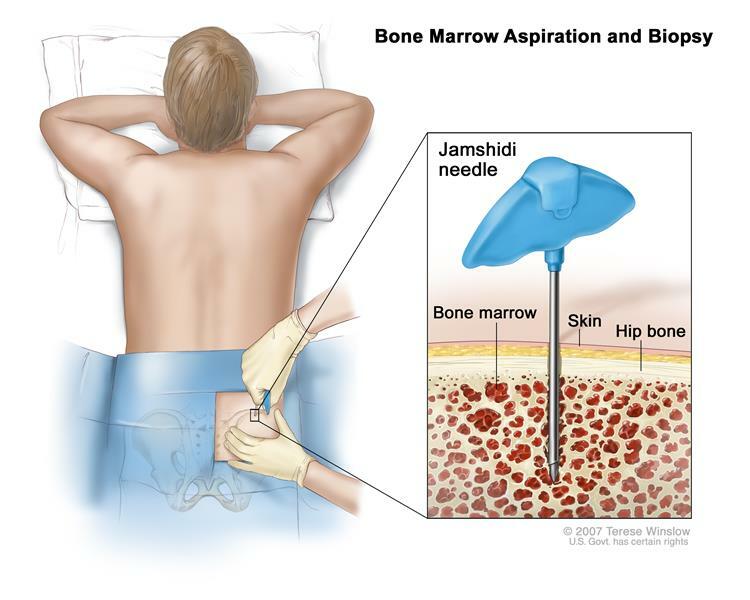 Bone marrow makes white blood cells, red blood cells, and platelets.